In my opinion, Venice is one of those magical places that we should all experience at least once in a lifetime. Truly unique, this city on water does not disappoint and for me, exceeded my every expectation. Without a doubt, Venice is certainly touristy, expensive in places and thronging with visitors on any given day. Yet somehow these things in no way detract from the wonders and beauty of this watery gem, and I found it to be one of my very favorite spots in my very favorite country. Many visitors come to Venice for two or three nights, and if this is all the time you can spare then any visit to Venice is time well spent. However if (like me) time is on your side, consider an extended stay to really discover all this city has to offer. I recently spent 8 days in Venice and quite honestly could have stayed longer. Read on for my very best tips on what to see and do. I am, without a doubt, not the first person to suggest ‘getting lost’ in Venice. This is because wandering the streets is, of course, the best way to discover hidden treasures. On your first day you will undoubtedly become lost whether the intention is there or not, so just go with it and see what you can find! My aimless wanderings led me past the Acqua Alta bookshop (a gorgeously haphazard bookshop featuring the best fire exit I’ve ever seen); the famous floating fruit and vegetable shop next to the gorgeous Ponte dei Pugni; the beautiful Campo Santa Maria Formosa (a piazza full of beautiful buildings and very few tourists); and the beautiful walkway surrounding the Venice Arsenale. Like all great cities, Venice is full of ‘must-see’ attractions touted by every guidebook. From Basilica di San Marco to the Rialto Bridge, these are classics for a reason! Undoubtedly one of Venice’s most famous landmarks (and for good reason), a visit here should surely be on the top of your Venice hit list. To see it at its best, aim your visit for 11:30 am to coincide with the daily lighting of the interior mosaics – truly a golden sight to see. 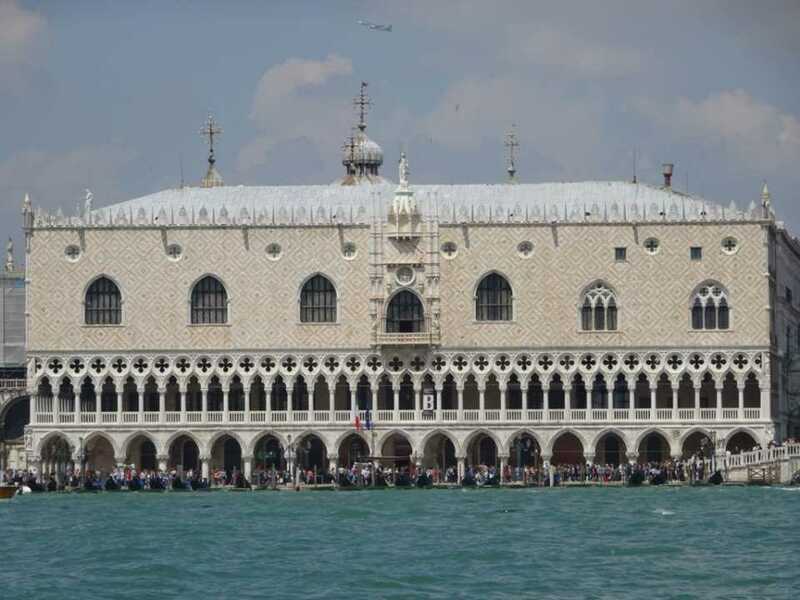 Though St. Mark’s is free to enter, it is also very popular so a ‘skip-the-line’ ticket (https://www.venetoinside.com/attraction-tickets-in-veneto/tickets/skip-the-line-saint-marks-basilica/#choose ; 3 euro) is a sound investment. You can select your preferred date and time – I highly recommend a timeslot between 11:15 and 11:30 so that you can be inside to see the lights come on. Once inside, make sure to pay a little extra to access the loggia and exterior balcony for show-stopping views both inside and out. Now this tip, unfortunately, comes completely down to good luck and good timing. I was fortunate enough that my trip to Venice coincided with an unseasonal late-night high tide, and there was nothing more magical than seeing that water slowly rise in Piazza San Marco on a balmy summer’s evening. The musicians continued to play their music, people milled about to take in the spectacle and the overall atmosphere was magic. So long as you don’t hang around too long, you’ll have plenty of time to take it all in and still get safely back to your hotel! If you’re anything like me, you probably won’t know if or when an acqua alta is forecast – as happened in my case, your accommodation hosts will likely alert you to the fact that a high tide is occurring (and its expected severity). Venice is home to many bridges but these three are the pick of the bunch. The Rialto Bridge, in particular, is teeming with tourists at any given moment, but walking across here and enjoying the views down the Grand Canal is an absolute delight. The Accademia Bridge is far less busy but no less lovely and bordered either side by picturesque piazzas perfect for a drink and some people watching. Finally, the historic Bridge of Sighs (part of Palazzo Ducale) is best viewed from the waterfront just off Piazza San Marco so you can truly appreciate its ornate beauty. For many, the quintessential Venetian experience is a ride in the ubiquitous gondola. Whilst gondola rides are not cheap, they are charged per gondola (not per person) which can make it much more affordable if you are in a group. If you are travelling solo, like I was, don’t be shy to ask some like-minded people if you can share a gondola with them! It keeps the experience affordable and allows you to make some new friends along the way. Doing this, I was lucky enough to ride in a gondola twice in different areas of Venice and absolutely loved it. My tip? Head over to the Ponte del Lovo – gondolas here take you into the Grand Canal, under the iconic Rialto Bridge and through some of the most vibrant areas of Venice. One of the best ways to appreciate the beauty of Venice is from up high, and the campanile in Piazza San Marco offers one of the best vantage points to do just that. An elevator makes for an easy ascent, but be prepared to queue a little. A lesser-known (but no less incredible) viewpoint can be found at the luxurious T Fondaco dei Tedeschi department store, located at Calle del Fontego dei Tedeschi (not far from the Rialto Bridge). Whilst the department store itself is also quite spectacular, its main draw is the rooftop terrace that affords its visitors unparalleled views across the whole of Venice. Entry to the rooftop is free and taking plenty of photos is a must! Don’t worry if you find this church closed when you arrive – the real beauty of this church is its baroque exterior that looms large over a small piazza. I happened across San Moise en-route to somewhere else entirely and did a joyful double-take when I came face-to-face with it by accident. Stand on the small ponte opposite and let your camera get to work. A small, unassuming church from the outside, San Pantalon in the Dorsoduro district contains an absolute showstopper of a ceiling. To make the most of your visit, illuminate the ceiling by popping 0.50 euro cents into the nearby slot. Really a confraternity more than a church, the Scuola dei Carmini is one of my favourite sights in Venice. Featuring beautiful artwork and truly spectacular staircases, this is well worth the 5 euro entry fee and you’ll likely have the place to yourself. For you art fans out there, the real drawcard here is a ceiling frieze by Tiepolo. A grandiose church featuring high, vaulted ceilings and a wealth of artwork, including the famed altarpiece by Titian. My favourite aspect of this church is the tomb of Canova which is absolutely beautiful. On a planning note, this church is located close to the Scuola dei Carmini (above) and the Scuola di San Rocco (below), so consider seeing these three on the same day, if you can. As with the Scuola dei Carmini (above), this is really a confraternity rather than church and is lavishly decorated by Tintoretto. Both the architecture and artwork are beautiful and though not large, this one is really something to see. Two important tips – take advantage of the hand mirrors on offer to better appreciate the ceiling mastery, and make sure to head upstairs to the upper hall which is really the main affair! Beautifully decorated in marble both inside and out, this church is quite unique in its decoration and very lovely. You won’t need a long visit here as the church is not large, but it is well worth seeking out if you are in the neighbourhood. Almost more than all the others, the real spectacle of this beautiful church is its exterior. Fronting on to the Grand Canal, you’ll find yourself admiring this imposing structure from afar and the views from outside the church (both of the church itself and back onto the canal) are really must-see. 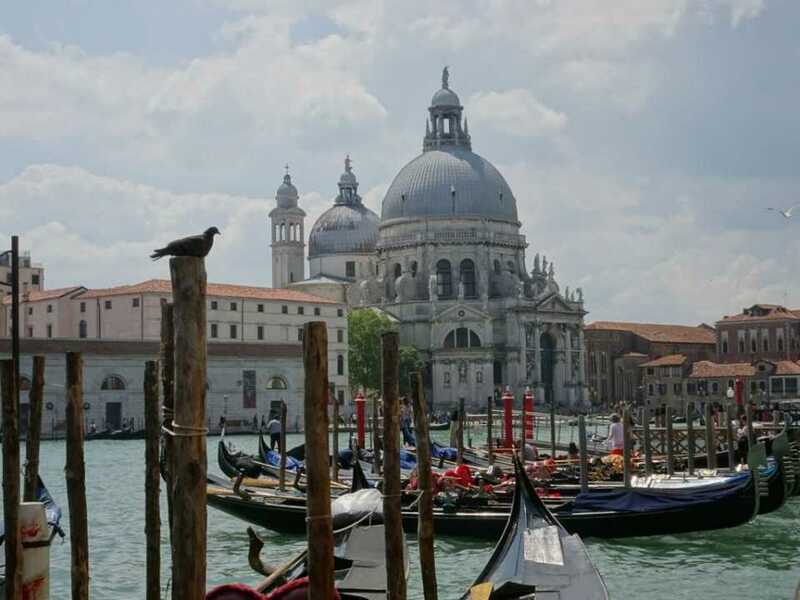 Located in the Dorsoduro area, Santa Maria della Salute is easily reached on foot or by vaporetto. Note: Like many things in Italy, church entry times don’t always go to plan, and on more than one occasion I found that I had walked across town to see a church that was unexpectedly closed. If this happens to you, don’t be disappointed – chances are your exploratory trek has taken you past some beautiful parts of the city that you may otherwise have missed. Without a doubt, Palazzo Ducale is my favourite building in Venice, both to admire from without and explore from within. 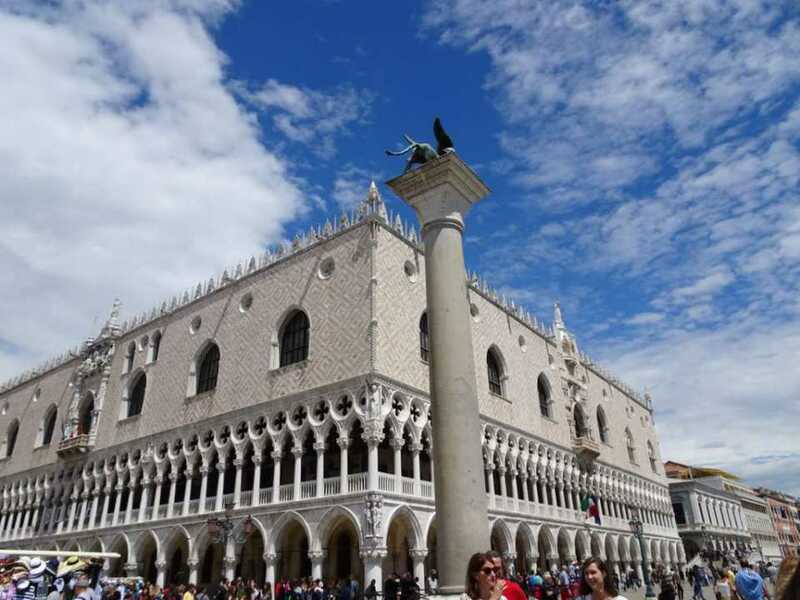 Beautifully imposing across Piazza San Marco, this palace is rich in both decoration and historical significance and try as you might, it would be hard to appreciate all it has to offer without the benefit of a guide. The Secret Itineraries tour (75 mins, http://palazzoducale.visitmuve.it/en/the-museum/layout-and-collections/secret-itineraries/ ) is a fantastic way to explore this fascinating piece of history, with a knowledgeable guide leading you through the innermost chambers and regaling you with tales of scandal, beheading and escape. 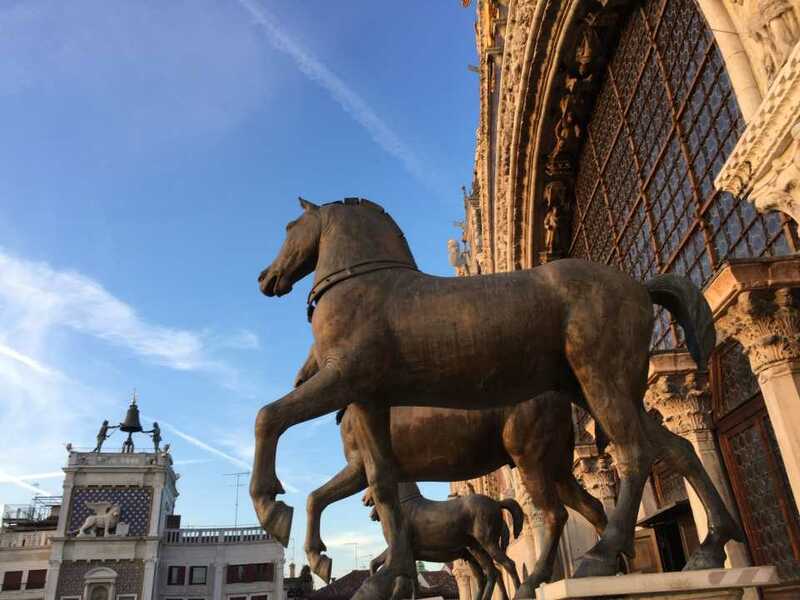 Your tour ticket enables you to explore the remainder of Palazzo Ducale before or after the tour – I strongly recommend after, so that you can then keep an eye out for many of the details and landmarks described by your guide. 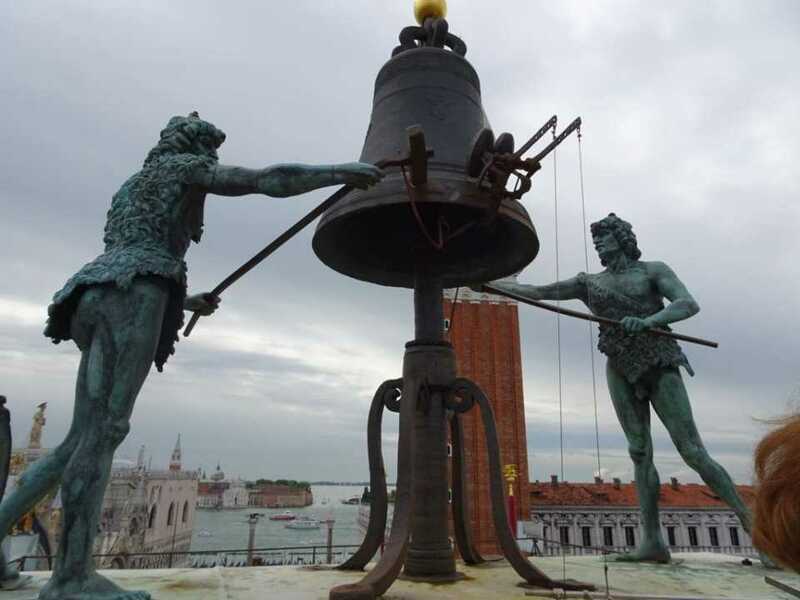 This fabulous tour (http://torreorologio.visitmuve.it/en/home/ ) is of the clock tower in Piazza San Marco, and a great way to see the innermost workings of this Venetian icon. A tour guide leads you up through the different levels of the clock tower, which was, until recently, inhabited by the caretaker and his family. Watch the giant numerals change from inside the tower, see the clock machinery up close, hear the deafening clangs of the bells and finally, reach the very top in time to see the two iconic figures strike the bell upon the hour. Oh, and the views from the top aren’t bad either. Seems obvious, but one of the cheapest and best things to do in Venice is to see it from a vaporetto. Line 1 takes you down the Grand Canal – try to snare a seat on the left for the best views. Well off the beaten track, a visit to this working monastery on its own little island will surely get you away from the madding crowd. Beautifully serene and a world away from Venice, this Armenian monastery offers once-daily tours in English for a simple coin donation. I found it to be absolutely fascinating and a wonderful way to get a glimpse into a largely unknown world. Vaporetto 20 from San Zaccaria specifically times its departures to arrive at San Lazzaro for the tour each day – at time of writing this departure time was 14:25 but check before you go. Many guidebooks will advise a visit to the island of Murano, famed for its production of intricate glass. 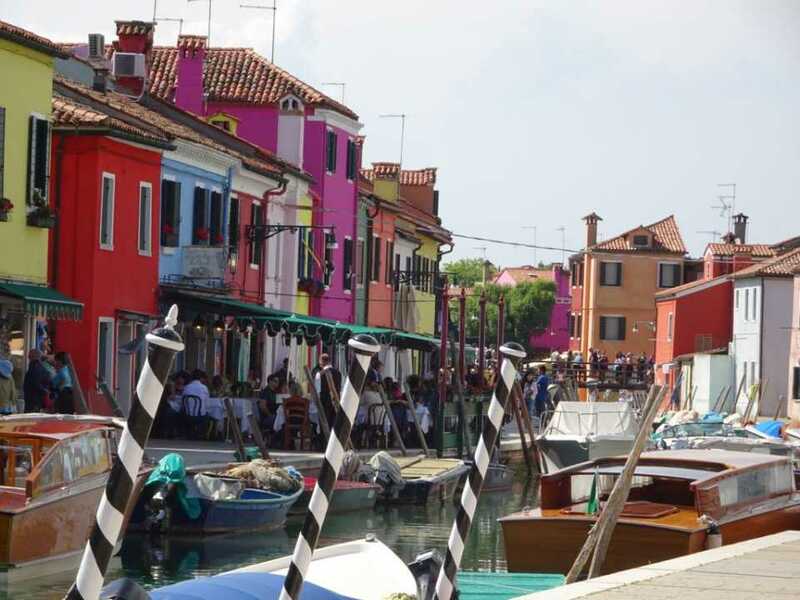 My tip, however, is to head straight for Burano (line 12 from Venice) – a beautiful little island known for its brightly coloured houses and lace production. Far less touristy than Murano, the best way to enjoy Burano is simply on foot, making sure to explore the many artisanal shops and sit outside for a drink to soak up the atmosphere. Also, make sure to try the local Burano biscuit – I am not entirely sure what makes these biscuits so delicious but do yourself a favour and buy more than one! 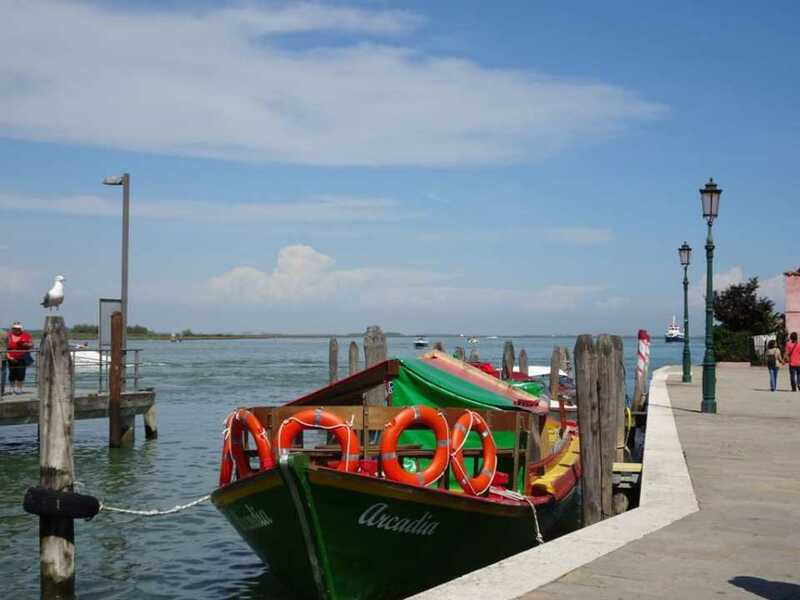 If time allows, before leaving Burano, wander across the bridge to the neighbouring Mazzorbo – a quiet and picturesque island full of greenery and vineyards. The island directly across from Venice, Giudecca is easily reached by vaporetto and is absolutely beautiful. Calmer than Venice and with a far more local feel, Giudecca is well worth a visit for a wander and a meal. My one tip when visiting Giudecca is to also visit the church of San Giorgio Maggiore, located on the neighbouring island of Isola San Giorgio (simply disembark one stop early, then hop back on the vaporetto to continue to Giudecca). San Giorgio itself is a beautiful church and monastery, and the views from its campanile are magnificent – particularly over the monastery and back across to Piazza San Marco. If visiting on a weekend, guided tours of the monastery are offered, and at the gift shop, you are also able to buy products (including wine) made at the monastery itself. As you head back to Venice on the vaporetto, try to get a picture of Palazzo Ducale as you approach – in my opinion its best vantage point. Tip: At 7.50 euro for each single trip, riding the vaporetti can quickly add up. My advice is to plan your vaporetti rides over two or three consecutive days and buy yourself a pass (see the ‘How to Save’ section below for details). This will save you a lot of money and give you the flexibility to hop on and off as you please. When in Venice, it can be very easy to get caught at expensive, touristic restaurants. My advice is to stick to cicchetti – the Venetian answer to tapas. There are countless cicchetti bars in Venice, so pick one that appeals to you and settles in for some bite-sized fun and a drink (or two). To make a night of it, split your dinner between one or two different cicchetti bars (or even three) and try as many different tastes as you can. As a solo traveller, I found this to be a great way to experience a huge variety of local dishes whilst keeping my costs down, and it’s also a lot of fun! If I had just one recommendation, it would definitely be Osteria Ae Forcoe – a small bar serving excellent and inexpensive homemade cicchetti. I happened upon this by accident and was really glad I did. Frequented primarily by locals, the owners are unbelievably welcoming and the atmosphere is not dissimilar to a gathering of friends. I happily whiled away more than one Venetian evening at this lovely spot and highly recommend it. Like any touristic city, there is no shortage of accommodation in Venice, so where you choose to stay will be entirely down to your travel and budget preferences. I was looking for a happy medium between budget and convenience, so opted for an Airbnb apartment in the Cannaregio district of the historic centre. This ticked all my boxes as it was located in a quiet calle just off the Strada Nuova, which is a main thoroughfare filled with restaurants, bars and oodles of charm. For me, this was absolutely perfect as I was in a residential area yet so close to the action, and within easy walking distance to all the top sights including Piazza San Marco. Further, its proximity to a main street made it much easier for me to navigate my way back home after a busy day of exploring! • Think beyond hotels: Airbnb has become very popular and for good reason. I found a small apartment, complete with kitchen and washing machine, in a central location but at a fraction of the cost of a hotel. As an added bonus, I was given many tips by my local hosts that really enriched my stay. • Stay within the centro storico – Venice is a city for walking, so aim to stay in a district that enables you to get everywhere on foot. 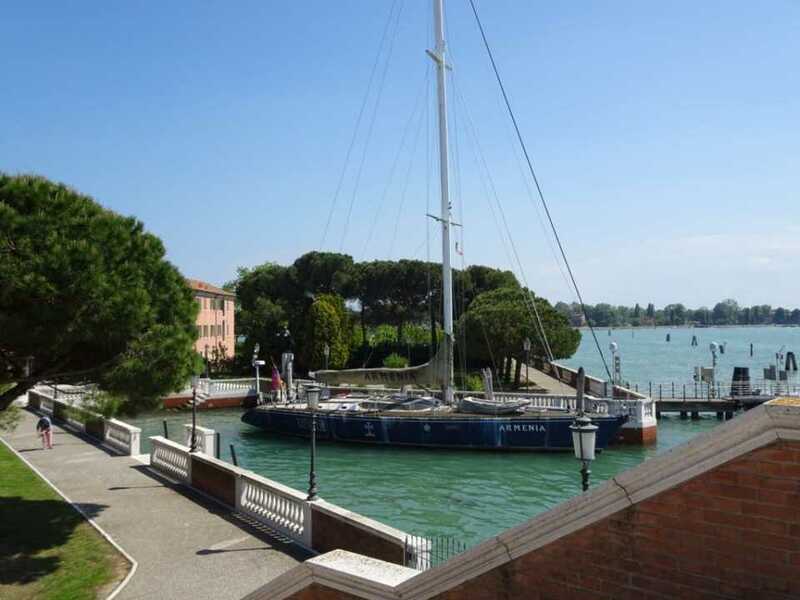 You may find cheaper accommodation on the island of Giudecca or the mainland area of Mestre, however, commuting each day will quickly eat away at your two most precious commodities – time and money! • Consider a monastery stay – For a really different experience, consider staying in a monastery. Perfect for solo travellers or couples looking to keep expenses down, a monastery is similar to a stay in a budget hotel – very clean but sparsely decorated, rooms will have ensuite bathrooms, are cleaned daily and often breakfast and wifi are included. Some monasteries enforce a curfew but many do not, so in reality, this is an excellent option for those that don’t need the bells and whistles and will embrace the chance for an authentic experience. https://www.monasterystays.com/ is a great website that easily lets you search monastery rooms across Italy, and is very user-friendly. Whilst I didn’t stay in a monastery in Venice, I did so in Rome (booking via the website above) and found it to be an excellent experience. • Book early – It is absolutely obvious but the earlier you book, the more likely you are to find a great place for a great price! This is particularly true for a place such as Venice which is overwhelmingly popular regardless of the season. So get planning and try to solidify your dates as soon as you can. • Special offers on tours to tourist hotspots such as the lagoon islands, the famed Teatro La Fenice theatre, and many others. I found the Venezia Unica website to be extremely easy to use, with the offers explained well and clearly set out. I also enjoyed being able to personalise my own city pass based on what I wanted to do. My advice here is to create your card after you have already shortlisted your ‘to-do’ items and have a rough idea of their entry costs – that way, you will easily see which offers or bundles are most value to you. Another benefit of the pass is that tickets often include a ‘skip-the-line’ benefit, which will help you save time at some attractions. 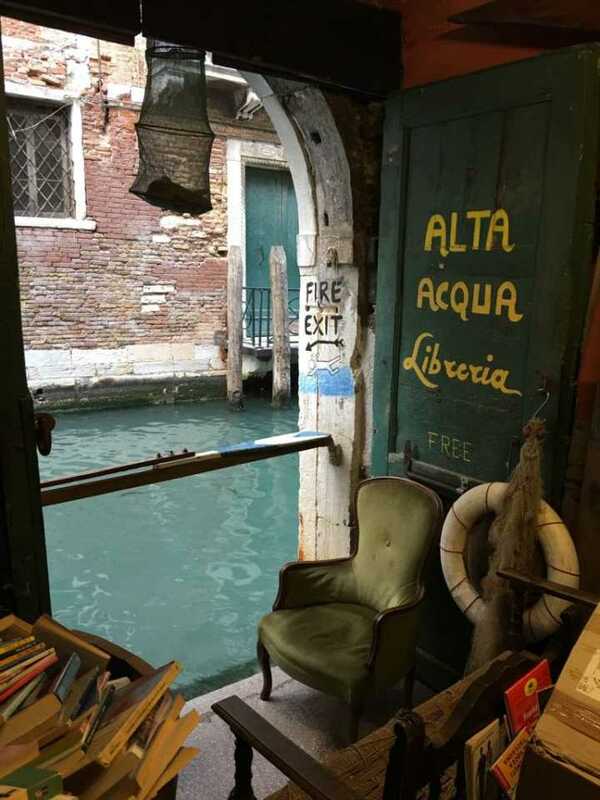 Inside the Acqua Alta bookshop – Note the fire exit! • To avoid a fake, pay attention to the price (very cheap masks will not be handmade in Venice or Italy) and look for a wax seal of authenticity. • If you have a tight budget but still want a genuine Venetian mask (as I did), simply buy a smaller size – whilst the large ones are very striking, they are also very expensive so consider a smaller version of the one you like. • Think beyond the traditional papier mache – I chose a beautiful mask made from ceramic and adorned with Italian leather. Not only was this combination beautiful, it was also more robust and I managed to get it back to Australia in one piece! • Don’t buy the first one that catches your eye – during my time in Venice I saw (and fell in love with) countless masks, so wait until your last day to be sure you buy ‘the one’! 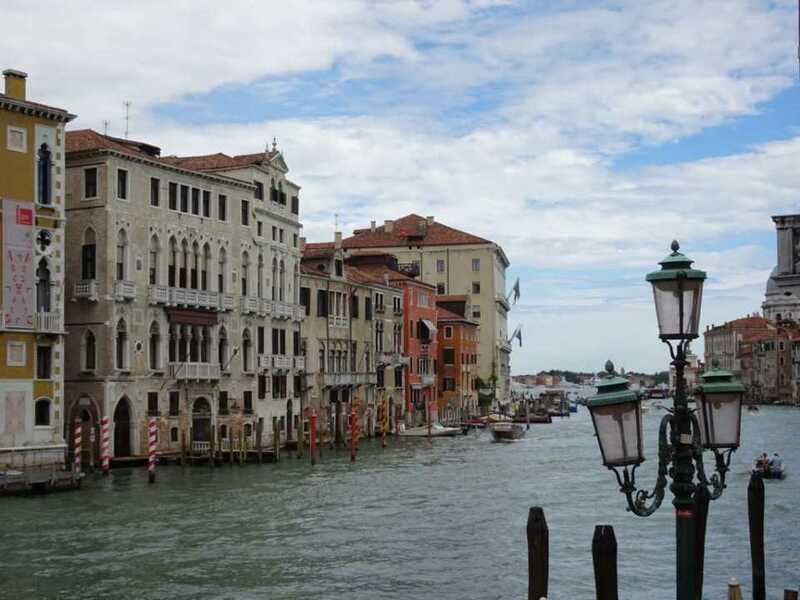 This is by no means an exhaustive guide to Venice, and I highly recommend consulting as many guidebooks as you can to really get the most from your visit. My favourite guidebooks – purely for reliability, off-the-beaten-track recommendations and a wealth of useful information – would absolutely have to be those by Rick Steves. I prepared for my trip by reading all the top branded guides (Lonely Planet, Rough Guides, Fodor’s, etc.) but found the ones by Rick Steves to have the best range of tips and often mention things that the other guidebooks did not. He also has free downloadable audio guides and walking itineraries which can really add to your experience as you wander about (author note – I am not in any way affiliated with Rick Steves, but may very well be his biggest fan!!). Note: All recommendations and tips in this article are based purely on my experiences as a solo traveler in 2017. I booked and paid for all my expenses and planned my trip through extensive internet and guidebook research (thank goodness for public libraries!). Every restaurant, tour, and highlight that I have written about here has earned its place through the wonderful experience I had as a paying customer. 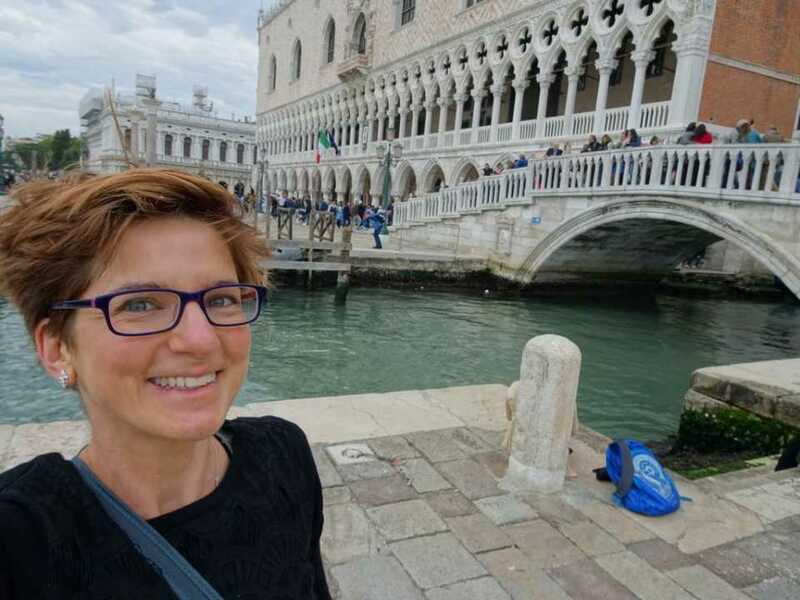 About me: I am a solo traveler from Australia, who fell madly in love with Italy on my first visit in 2016. Bitten by both the Italy and travel bugs, I returned in 2017 for a nine-month trip of a lifetime across this beautiful country. With an Italian heritage, Italy is in my blood and I now dream of one day calling it my home!